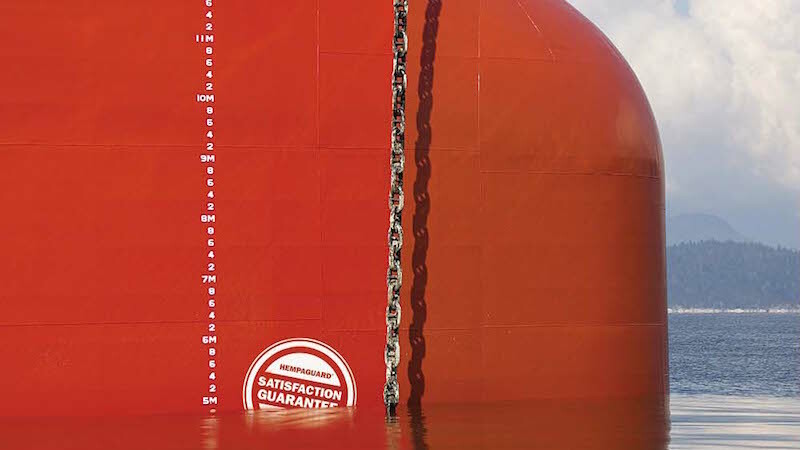 Hempel has applied Hempaguard®, its award-winning fouling defence coating, to more than 1,000 ships. The one thousandth full-vessel coating was achieved in April. The unrivalled fuel-saving properties of Hempaguard means that, collectively, the owners of these 1,000 vessels have reduced their annual bunker bill by more than USD 400 million. This corresponds to a reduction in CO2 emissions of more than three million tonnes every year. After just five and a half years on the market the high-performance fouling defence coating has surpassed every expectation. Hempaguard is suitable for, and has been applied to, all vessel types. "Reaching this significant number of full vessel applications for Hempaguard in such a short time-period is a true testament to the value-added delivered by this innovative product. We have proven that Hempaguard delivers up to six percent fuel savings and retains its effectiveness during extended idle periods of up to 120 days." He went on to say: "At Hempel, we pride ourselves on our investment in R&D and creating customer focused innovative products and services. Customer feedback has been unequivocally positive with shipowners realising significant returns on investment from Hempaguard." Driving the success of Hempaguard is Hempel's market-leading Actiguard® technology. This combines a smooth silicone coating with the consistent release of limited biocides through a hydrogel layer. This unique technology was five years in development and was launched in 2013 against a backdrop of tightening environmental regulations and an increasing push to reduce CO2 emissions. Hempaguard is the first Hempel product to use this technology and based on this, Hempel was the first company to offer a performance satisfaction guarantee. Five years on, the industry continues to seek enhanced environmental performance as well as optimum efficiencies. Hempaguard is a tried, tested and proven solution and its application to 1000 vessels speaks volumes. Upgrading the entire world fleet to Hempaguard X7 would, in theory, save the industry USD 12 billion (at current bunker prices) and reduce global CO2 emissions by close to 95 million tonnes annually. The high-performance fouling defence coating has won two industry awards so far. In October 2014, Hempaguard was awarded the Shipping Efficiency's prestigious Environmental Technology award for making "a significant contribution to environmental impact reduction or prevention to ships". In late 2015, Hempaguard was also awarded the International Bulk Journal Innovative Technology Award for the development of the ground-breaking Actiguard technology.